Do I Really Need an Oral Cancer Screening in Bryan? We can provide you with an oral cancer screening in Bryan, a simple step that could help to save your life. 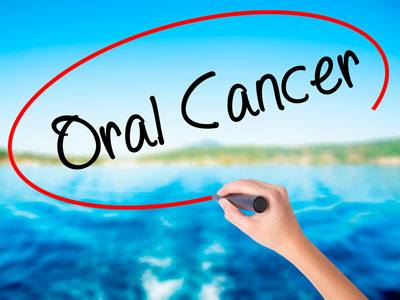 While oral cancer is something that most people do not think about, it is all too common. In fact, according to the Oral Cancer Foundation, one person dies in the United States every hour due to oral cancer. This terrible disease impacts people of all ages. Thus, regardless of whether or not you appear to be healthy, it is critical that you receive regular screenings. This is what you need to protect yourself just like you need to get a mammogram or annual checkup at the doctor. Everyone is at risk for oral cancer because like all cancers, there is a risk of developing this deadly disease no matter how old you are. However, certain people are at a greater risk for developing the disease. At the top of this list is men over the age of fifty and those that use smokeless tobacco products. For years, it has been thought that smokeless tobacco was healthier than smoking cigarettes and a safer alternative. While this is better for your lungs than smoking, chewing tobacco poses a direct risk to your mouth. People that chew tobacco can increase the risk of oral cancer, making quitting the single most important thing you can do for your health. Recently, it has also become clear that those with a particular strain of HPV are at risk for developing oral cancer. This is a sexually transmitted disease that there is a vaccine for. We recommend that you speak with your family physician and if you are diagnosed with HPV, let us know. That way, we can conduct a screening even more frequently. As it is, those that use chewing tobacco or have HPV should schedule an oral cancer screening for twice a year. Early detection is critical because it makes early treatment possible. One of the reasons that oral cancer claims so many lives is that people do not catch it early enough. This is partially because it is impossible to clearly see the inside of your mouth. When there are physical signs of cancer, it can be difficult to identify them yourself. As a dentist, we can see what is happening inside of your mouth and determine if anything appears to be out of the ordinary like rough patches, red and white bumps or hard lumps. We can conduct a thorough oral cancer screening so that you will know the condition of your health and can take steps to address it. While we do not treat cancer in our office, we can provide you with a referral and give you suggestions for the next steps. For those that are not at a high risk, we still recommend that you have an oral cancer screening on an annual basis when you are having your teeth cleaned and examined. Call our office at (979) 710-2216 and schedule yours today.